Guess who's back, back again?! Steph is back, tell a friend! Yes, you heard me right, this lady right here is back and is promising to never leave again! Let me give you a brief picture-filled summary of my life so far this past year and something. Both Nucita and Pelusa turned 4! 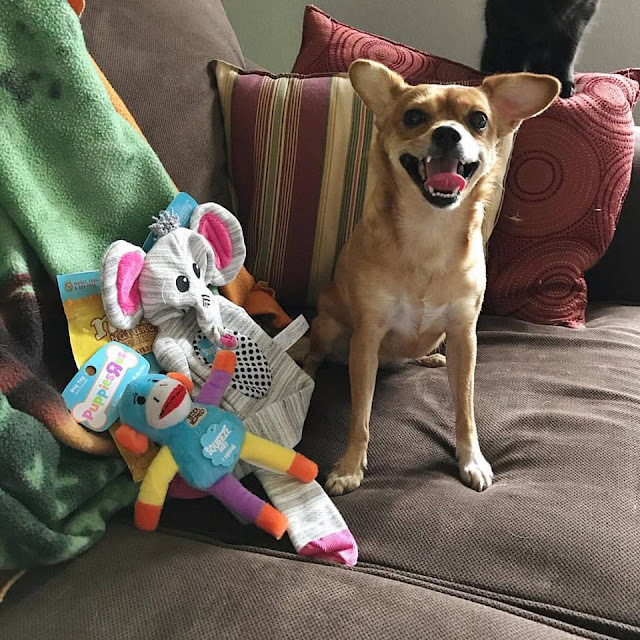 Nucita, as usual, couldn't stop smiling, especially knowing that those toys and treats were for her. Pelusa, as usual, needed to cautiously inspect everything that was put before her. 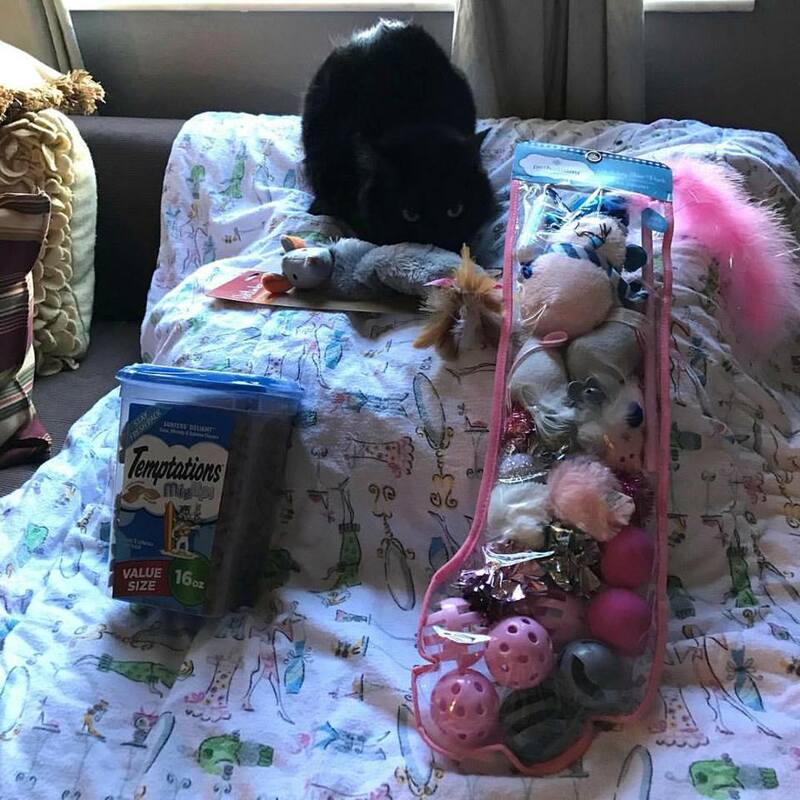 By the way, of that giant bag of toys we gave Pelusa, her favorite is one of the pink balls, and that's it. 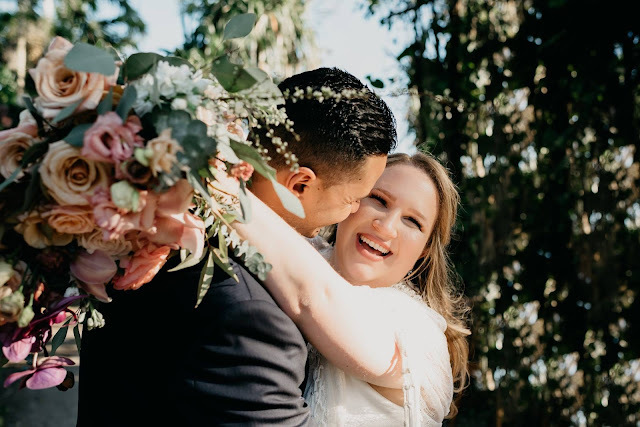 A and I got married!!! After 7 long years, we tied the knot this past February on my parents' farm. It was a very small ceremony, of just my parents, us, a priest, and two very close family friends. We laughed, we cried, we had the BEST carrot cake of my life, and we took more pictures than I could have imagined. 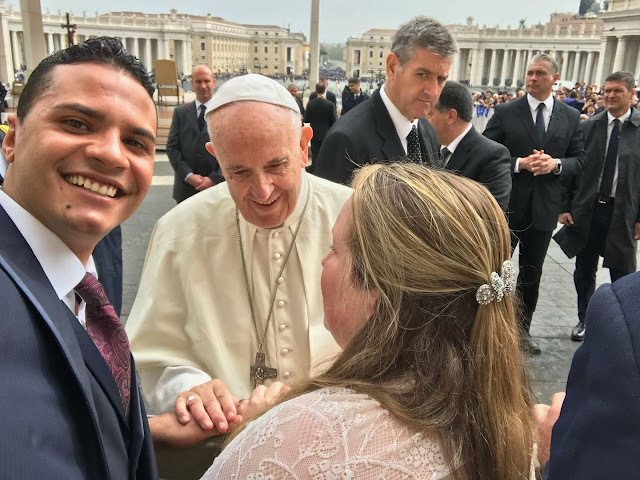 At the end of March/early April, A and I went on our honeymoon to Italy: two weeks of amazing views, delicious food, great wine, dancing, conversations, unforgettable memories with our Trafalgar tour family, which all led up to us meeting THE POPE!!! I was a sobbing mess when we met him, but it will always be one of the best experiences of my life. And now, we're back in Miami, trying to pay off all of our bills, working like crazy, trying to get back to a normal life, or as normal as anyone's life can be. As I was starting to organize our Italy pictures, I realized I had about 50+ recipes that I have never posted! I know, it sounds horrible, and I feel pretty crappy about it because I'm sure many of you would enjoy them! So, let's get right to it. 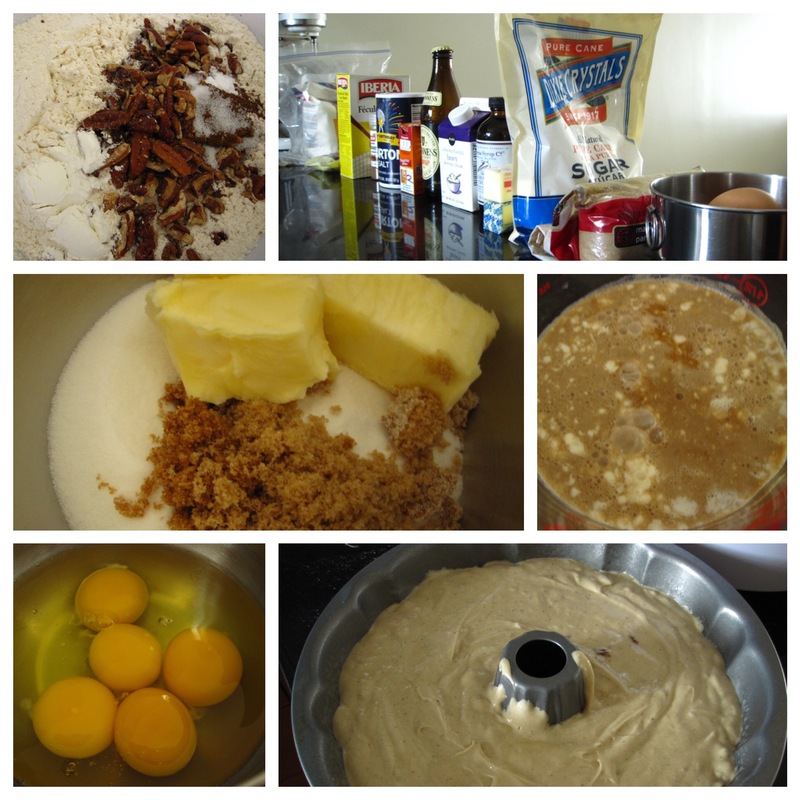 Today's recipe from the un-posted archives was my first venture into dessert baking with beer. 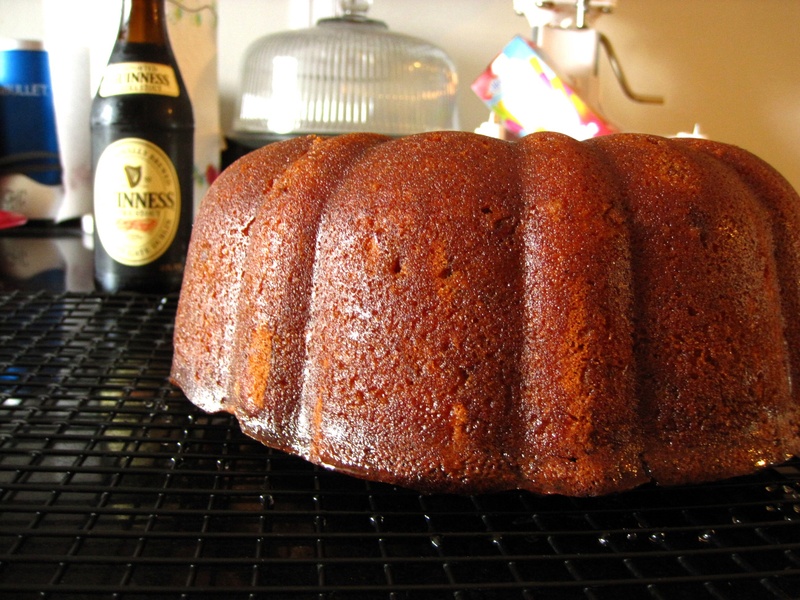 I had made a beer bread before, maybe about 10 years ago, but had never thought of using it in a cake. Since I had absolutely no clue about beer (I'm not a beer drinker; whiskey is more my thing), when I saw that this recipe called for a dark stout, I immediately went to Google, which suggested I use Guinness. The one I got from Publix was an extra stout. When baking this cake, the Guinness meshed really well with the dark and light brown sugars and brought out the earthy tones of the roasted pecans. However, I didn't really taste the cloves in this, so if I were to make this recipe again, I would definitely up the amount of cloves. "The deep, dark color and flavor of stout pairs well with the molasses-like flavor of dark brown sugar and roasted pecans. When I offered samples of this at the bakery, people dived in and gushed about the nuts. The carbonation from the stout gives it a unique spongy texture that is heavenly soft and moist. Enjoy!" - Measure the other dry ingredients, including the pecans, into a separate mixing bowl, add the flour, and whisk for 10 seconds to blend. Set aside. 3) In the bowl of a standing mixer fitted with the paddle attachment, cream together the butter and sugars on the lowest speed for 2 to 3 minutes. 9) Bake for approximately 50-55 minutes. 10) Once the top of the cake doesn't jiggle in the center and is light brown, test for doneness by inserting a bamboo skewer in the center of the cake. When the skewer shows just a touch of crumbs or comes out clean, the cake is done. The sheen on top may look liquid but this is normal and comes from the fat in the heavy cream. Remove the pan from the oven and place on a heat-resistant surface or wire rack. 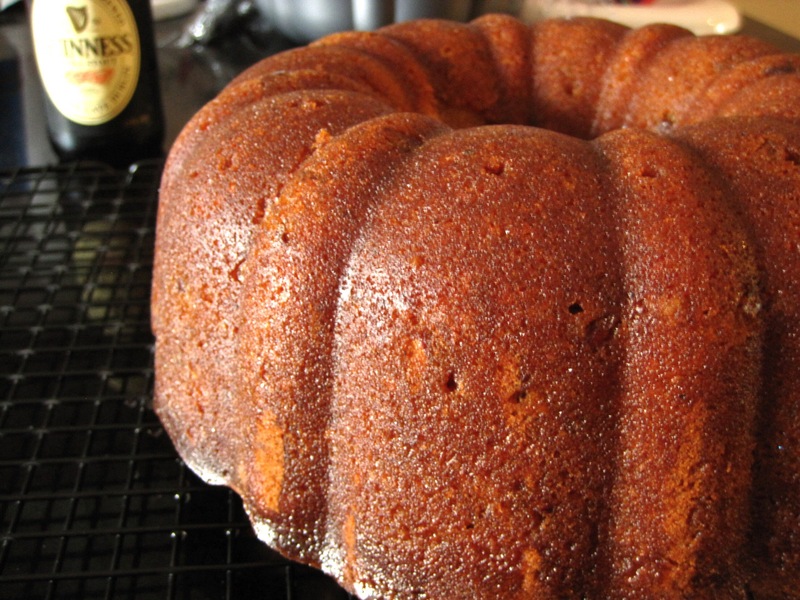 11) Once the cake has cooled for 5 to 10 minutes, remove the cake by inverting the pan onto a flat surface. Allow it to cool to room temperature, about 30 minutes, before glazing. 12) Set the cake on a wire rack with wax or parchment paper underneath it to catch any dripping syrup. Combine 1/4 cup of Sugar Syrup (see below for the recipe) and 2 tablespoons of blended Scotch whisky in a small bowl. Apply the soaking syrup with a pastry brush until all of the syrup is absorbed. 13) Serve at room temperature either naked or with a dusting of confectioner's sugar. 14) Store under a cake dome at room temperature, or wrapped in plastic in the fridge for up to 1 week. To store longer, label, date, and store the plastic-wrapped cake in the freezer for up to 1 month.